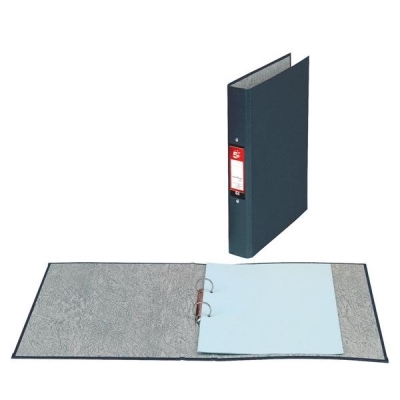 Ring binders. 2 O-rings. 25mm ring capacity (200 sheets). Paper covered. Size: A4. Black. Packed 10.